1st and 2nd Class are using their fantastic speaking skills to present oral reports to the class. They are working hard to use volume and expression. 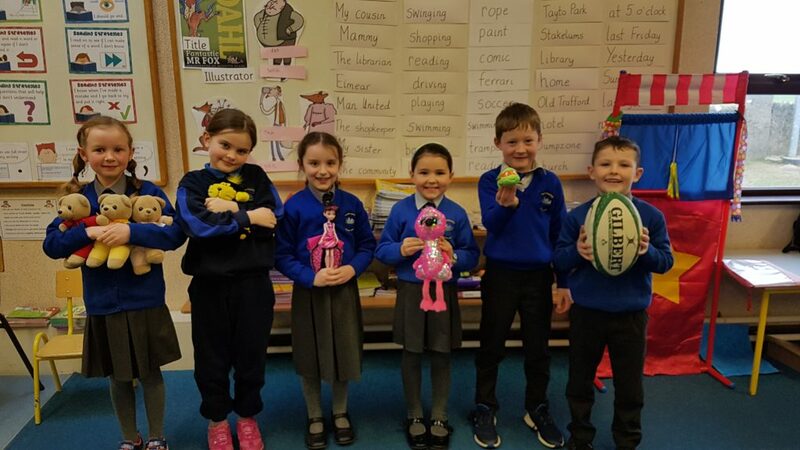 We have learned about many different toys and items of interest, including a snowglobe from Paris, a Kilkenny Cat, a gold purse with a spout, three brave bears and a sequence flamingo. We can’t wait to hear more show and tell reports during the week.